It’s perfectly OK to bring food into the pool. Hold the anchovies! 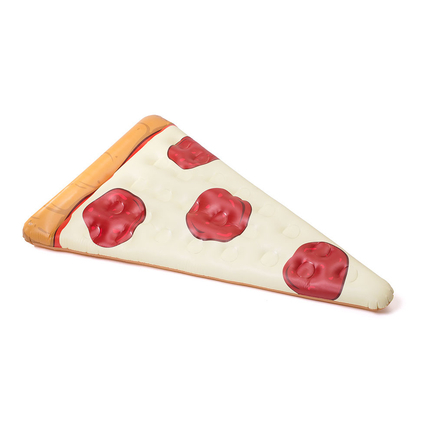 What’s better than a piece of pizza? 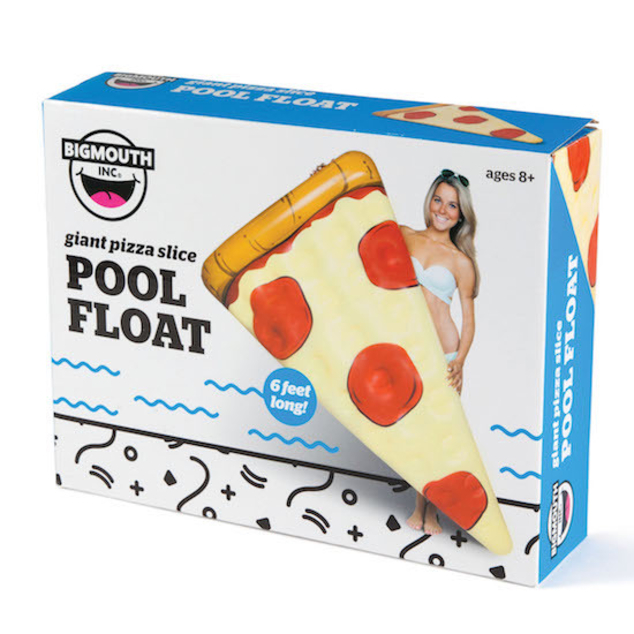 A five foot long piece of pizza that you can float on, that’s what. 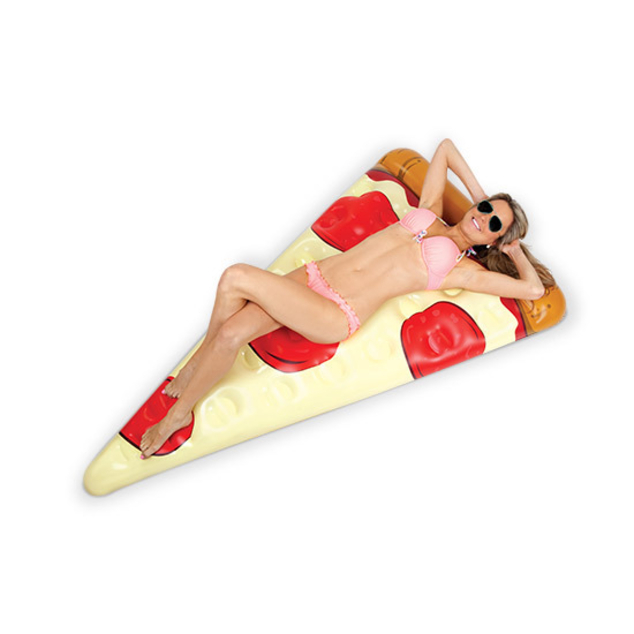 It also makes a great companion to our Gigantic Pizza Beach Blanket, Beach Ball, and Flying Food.